DC TV series – Titans – has added to their roster of actors and DC characters with news of another cast member. 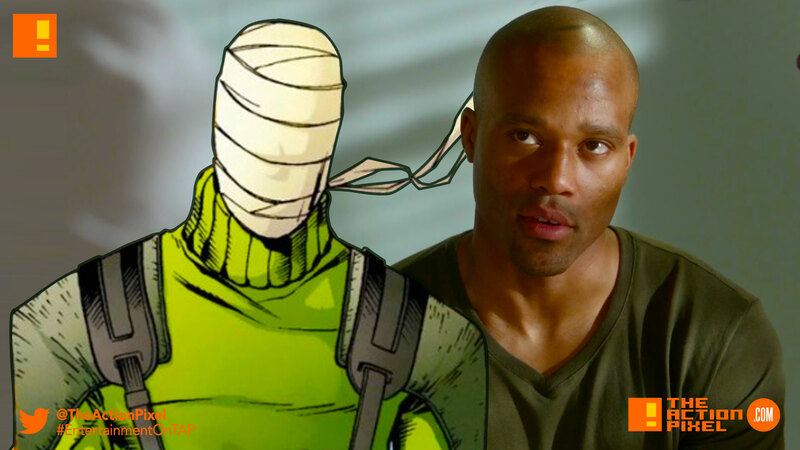 Negative Man has been cast, and the actor to play the legendary member of the Doom Patrol is Dwain Murphy. This news follows the recent first look photos of Robin and Hawk and Dove. Negative Man for the Titans‘ series is described as: A pilot in the Air Force, Larry Trainor crashed his plane and was exposed to a mysterious “negative” energy. Wrapped in bandages to protect those around him, Larry struggles with this new strange power. The other members of Doom Patrol in the series include Bruno Bichir as Professor Niles Caulder, Jake Michaels as Cliff Robotman Steele and April Bowlby as Rita Elasti-Girl. Titans is set to debut on the new DC digital streaming network and also stars Brenton Thwaites As Robin, Ryan Potter as Beast Boy, Teagan Croft as Raven, Anna Diop as Starfire, Alan Ritchson as Hawk and Minka Kelly as Dove, with Seamus Dever in an unknown role. Titans is written by Akiva Goldsman, Geoff Johnsand Greg Berlanti. Goldsman, Johns, Berlanti and Sarah Schechter are executive producers of the series from Weed Road Pictures and Berlanti Productions in association with Warner Bros. Television.